The results are in for the best 25 active adult communities of 2009. 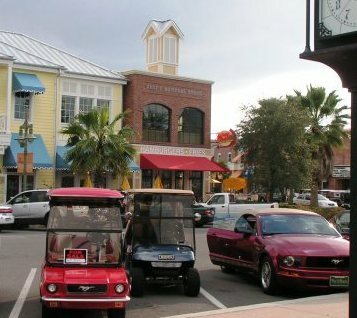 And if there is one major conclusion, it is that the sun belt completely dominates the list - the only top 25 active adult community to make the list outside of the sun belt was The Village at Penn State in State College, PA. Florida topped the list with 7 communities, while Arizona and North Carolina had 3 each. California and Texas each had 2. 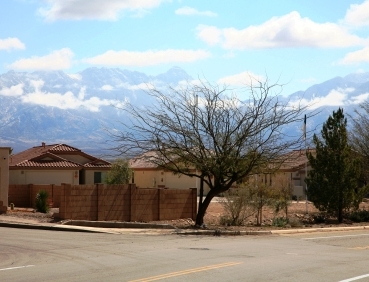 Green Valley, Arizona (pictured below) was the most popular active adult community, beating out #2, The Villages (of Florida), by almost a 2 to 1 margin. The top 25 communities were chosen on the basis of visitor popularity at Topretirements during the period January 1 to August 1, 2009. The 25 communities with the most page visits to their listings were the winners. Please see the end of article for more details on the selection criteria. 1. Green Valley (Green Valley, AZ) Green Valley is so large that is has multiple active adult communities within it. You can follow the links above to get a snapshot of each of the top 25 communities, along with links and phone numbers. Here is a link to all 670 active adult communities at Topretirements, by state. - For the most part the 55+ communities making the list are from towns that are in the 25 best places to retire at Topretirements. In some cases being the first 55+ community listed for a popular town could account for the high popularity of the community. - Topretirements advertisers, who get preferred positioning at our site, are included in this list. Their rankings were helped by that factor. Advertiser communities are so identified. - Finally, some of the larger, incorporated communities have higher profile pages on our site than average, which also helps them in the rankings. Those include The Villages, Tellico Village, Hot Springs Village, Laguna Woods, etc. See all the articles we have written about active adult communities in our blog.